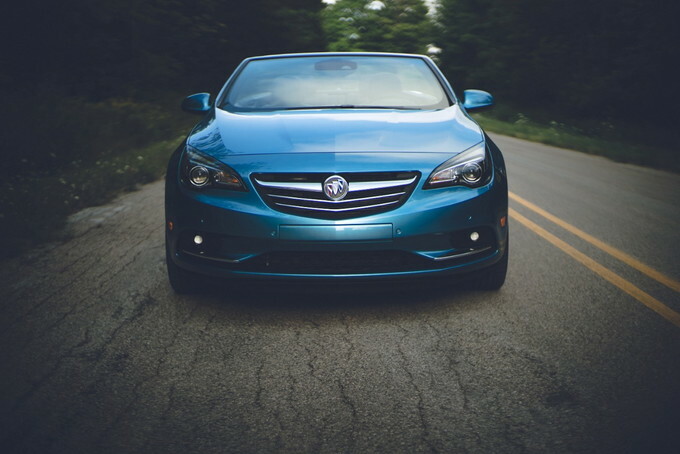 We have information you must know before you buy the Cascada. See used Buick Cascada listings in your area. 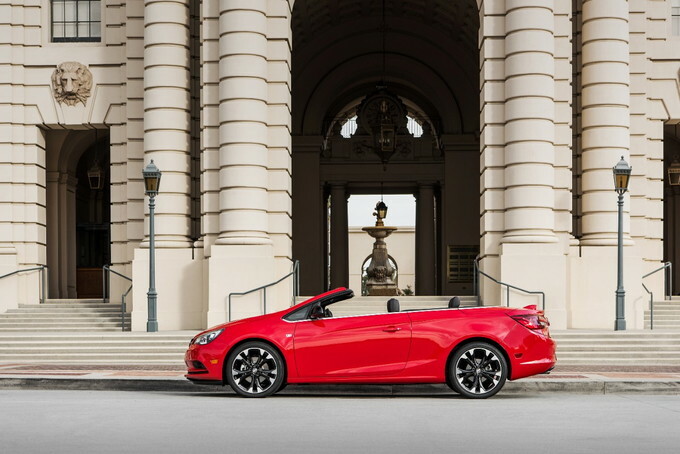 Buick’s Opel-supplied Cascada convertible adds flair to a brand dominated by cars and SUVs. This 2+2 front-wheel drive model is handsomely shaped and well equipped, but it falls short in delivering the driving excitement convertible drivers might expect. 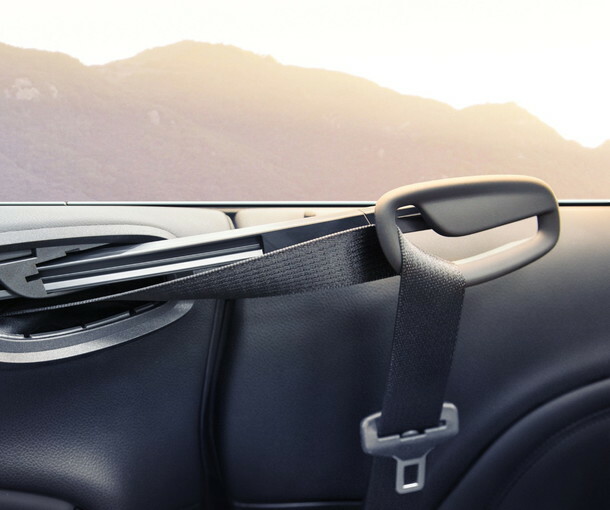 No package choices are available, although Buick dealers offer the usual array of accessories. All 2017 Buick Cascadas use a 1.6-liter, turbocharged four-cylinder engine with 200 horsepower and 207 pound-feet of torque. Paired with a six-speed automatic transmission, this model returns 20 mpg in the city and 27 mpg on the highway and takes premium gasoline. The top drops in just 17 seconds. 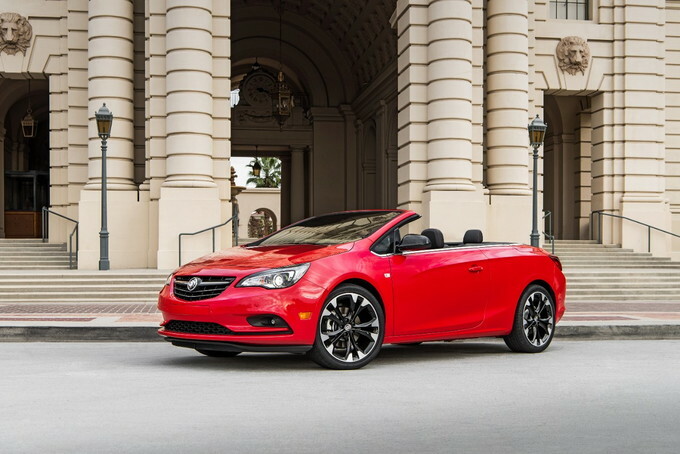 Importantly, drivers can lower the roof while the Cascada is in motion and at speeds as fast as 31 mph. The transmission shifts smoothly and on schedule, perhaps explaining why there are no paddle shifters present. You can, however, shift with the console-mounted lever, if preferred. 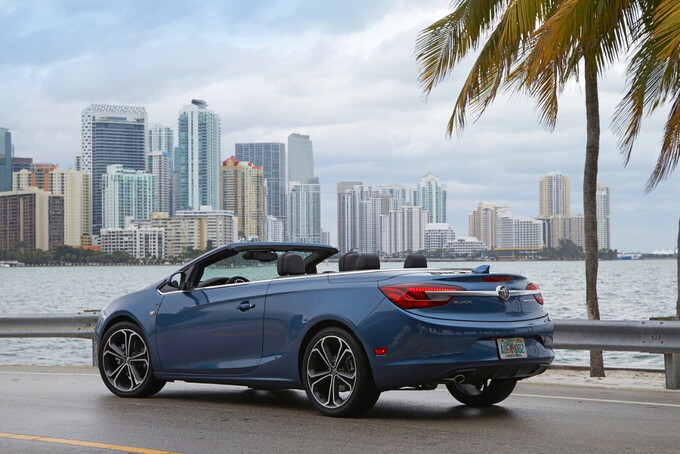 The 1.6-liter, turbocharged four-cylinder produces 200 horsepower, but with a curb weight of nearly two tons, The Cascada could use a stronger engine. Fuel economy is not this model’s strong suit. Moreover, the Cascada takes costlier premium grade gasoline. The Sport Touring grade supplies 20-inch aluminum wheels, sport alloy pedals, and only one color choice: Deep Sky Metallic. If you were hoping the fanciest trim would provide an improvement in ride and handling, the Sport Touring will disappoint. 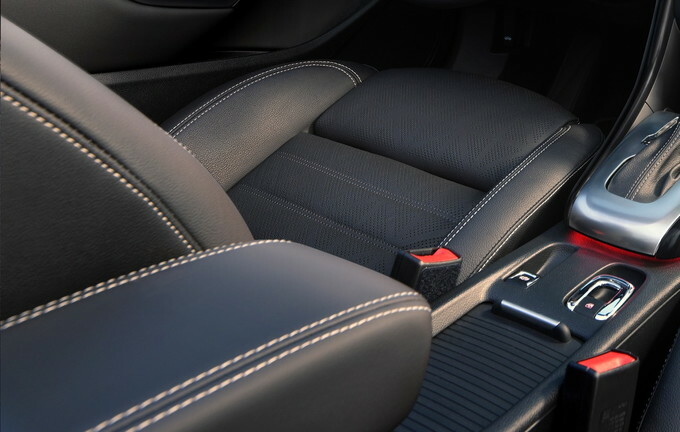 The front seats are comfortable, supportive, and offer power control and heating features. Standard equipment matches what you’d find in competing premium models, with remote start, leather seats and a heated steering wheel. 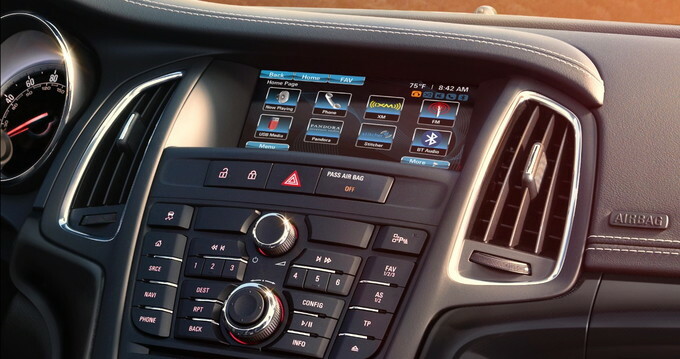 The center console is overwhelmed by too many buttons, switches, and knobs. 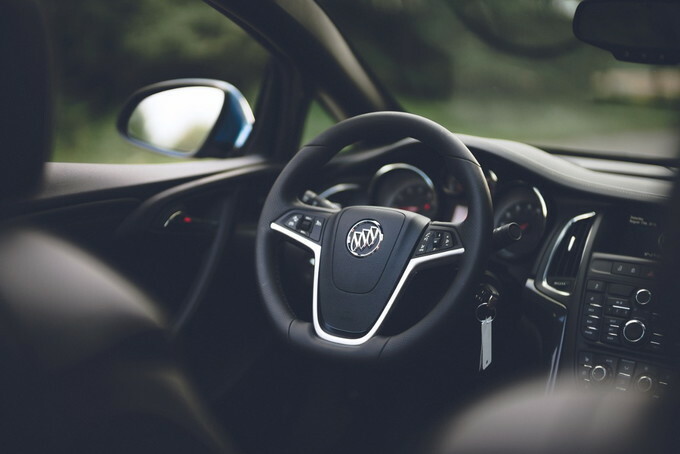 It simply lacks the modern interface common to newer Buick models – remember, the Cascada first hit European showrooms in 2013. Convertibles cost cargo space, and this Buick is no different. Trunk room is already a small 13.4 cubic feet with the top up, but that figure falls to just 9.8 cubic feet when the roof is down. 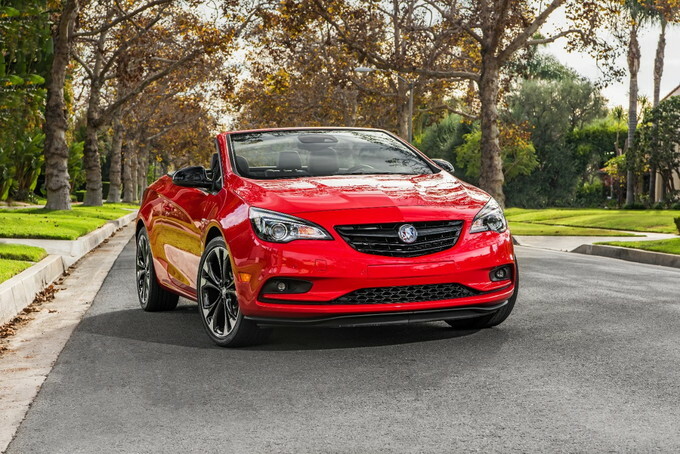 The 2017 Cascada comes with some of the creature features customers want, including hotspot capability and Siri Eyes Free, but it lacks both Android Auto and Apple Cary Play compatibility. 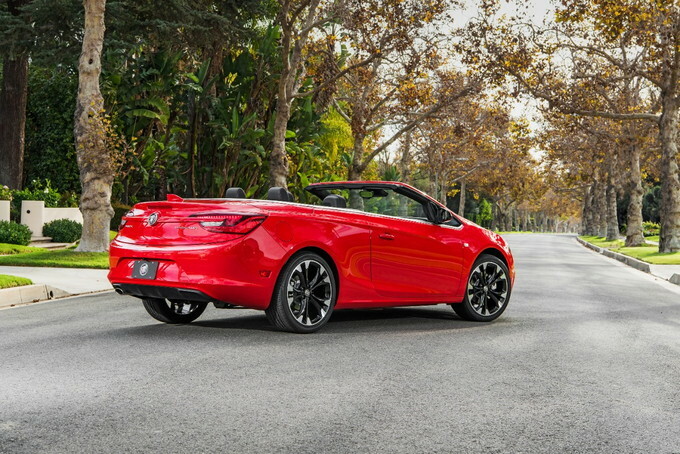 Convertibles are prone to rattle and shake, but the Cascada offers reinforced side sills and stiffer front roof pillars to keep cowl shake to a bare minimum. Fully loaded, you'll pay about $38,000 for the Cascada, but you're not coming away with anything near a fine German convertible for the money. 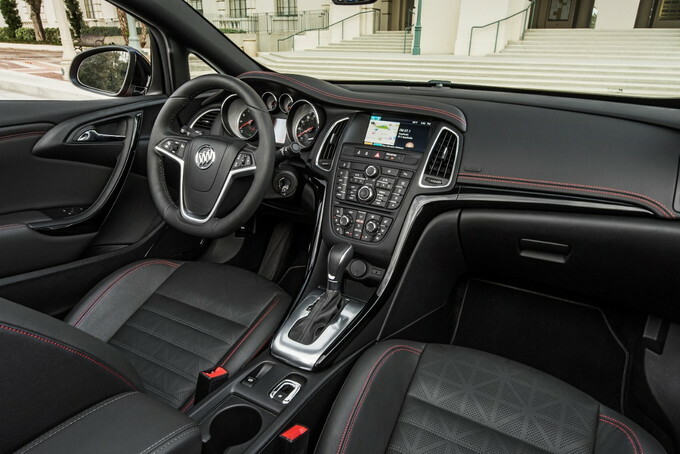 The Buick Cascada fills the space vacated by the Chrysler Sebring and Toyota Solara, and like those cars. But like those cars, it doesn’t offer anywhere near the driving excitement of Germany's small, four-seat convertibles or the similarly priced convertible muscle cars from Ford or Chevy. Keep that in mind if you're in the market. 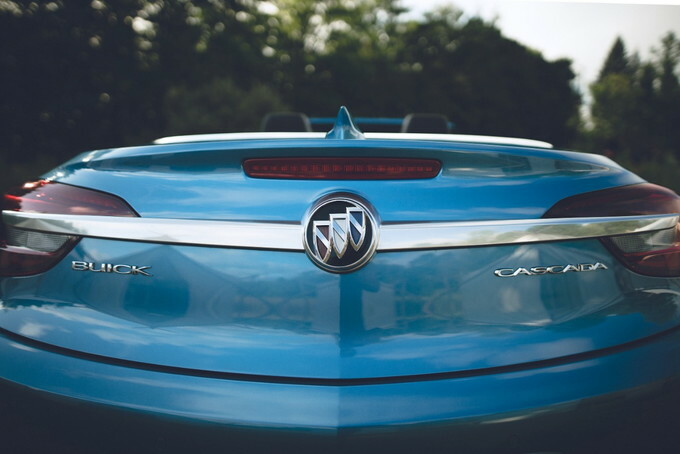 We have partnered with trusted dealers in your area to give you a great price on the new Buick Cascada.